Garmin has announced the certification of its G3X Touch flight display. The company also revealed the GPS175 and GNS375 navigators, smaller and less expensive than existing units. We are thrilled to announce the certification of our G3X Touch flight display for hundreds of certificated aircraft. The G3X Touch offers a variety of scalable panel configurations and a superior feature set that includes wireless connectivity and synthetic vision as standard, as well as options such as display redundancy, advanced autopilot compatibility, engine monitoring and more. The Federal Aviation Administration (FAA) has granted Supplemental Type Certificate (STC) approval for the installation of G3X Touch in nearly 500 certified single-engine piston aircraft, which is supported by Garmin’s expansive dealer network and its award-winning aviation support team. 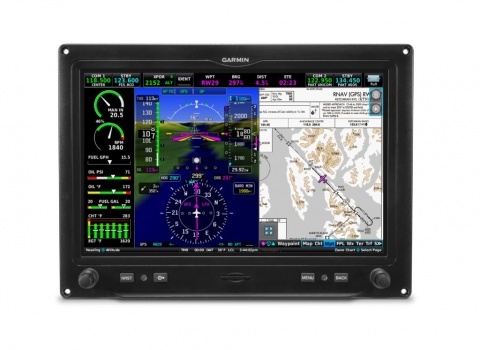 The G3X Touch system for certified aircraft is representative of Garmin’s experience in integrated flight deck technology, which boasts a clean and sleek appearance and a resilient, high-resolution display. The touchscreen offers an intuitive user interface and through any combination of the touchscreen or dual-concentric knobs, pilots can efficiently perform common in-flight functions like direct-to navigation, setting altitude pre-select or radio tuning. Pilots will also appreciate the seamless in-flight experience behind G3X Touch as the user interface is harmonious with multiple Garmin products, such as the new GPS 175/GNX 375 and GTN 650/750 navigators. 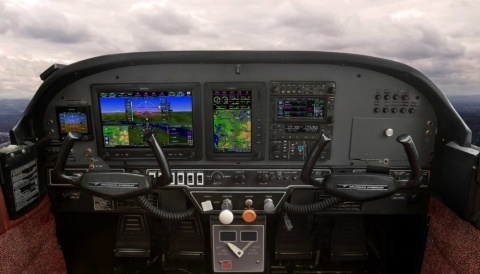 Multiple panel configurations and display options allow pilots and aircraft owners to better leverage their current and future avionics investment. One configuration option includes a large 10.6-inch G3X Touch display paired with a 7-inch display. This configuration offers the convenience and utility of a large primary flight display (PFD) with a dedicated multi-function display (MFD). 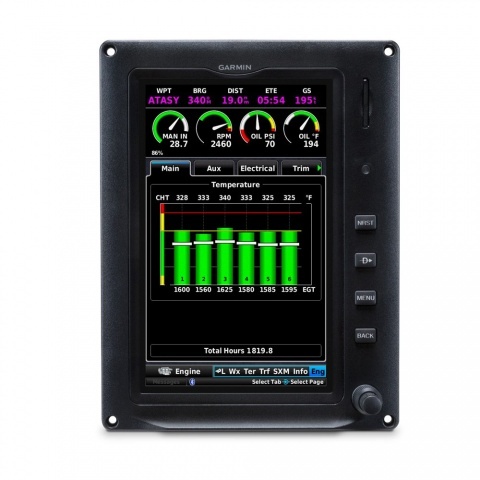 Another option allows dual 7‑inch displays to serve as a dedicated PFD/MFD. For space-limited panels, pilots can also install a single 10.6-inch or 7-inch display. In configurations where multiple displays are installed, the G3X Touch system offers redundancy and reversionary mode as a single display is capable of showing all primary flight information, including engine information when installed. For aircraft owners that have already installed a G5 electronic flight instrument in their aircraft, they can easily add a G3X Touch display to take advantage of the redundancy benefits associated with this configuration. The building-block design of these four approved cockpit configurations give aircraft owners scalable upgrade options that suit a variety of panels. Pilots can receive and display the benefits ADS-B In via the new GNX 375, GTX 345 or the GDL 50R/52R. ADS-B-enabled features such as patented TargetTrend and TerminalTraffic are also available with these products. The GMA 345/342 audio panel adds advanced functions, including auto squelch, 3D Audio and Bluetooth®connectivity. Up to two Comm radios can be supported and controlled by G3X Touch, including the GNC 255 Nav/Command the GTR 225 Comm, as well as the GTN 650/750.